These days the trend by whites of adopting black children is almost as popular as having a lap dog. In this case here, having a racist family background should’ve sent up red flags to to adoption agency, but clearly the overall welfare of this child wasn’t important to them. 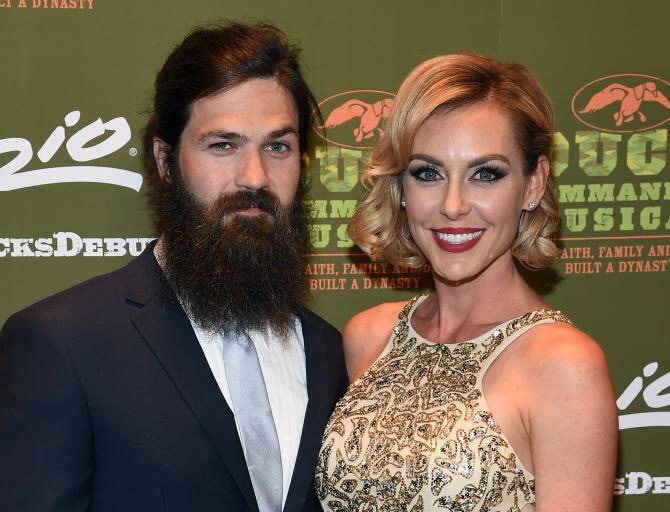 Jep Robertson and his wife, Jessica, stars of the wildly successful Duck Dynasty franchise, recently adopted an African-American baby, Jules Augustus Robertson, or baby Gus. 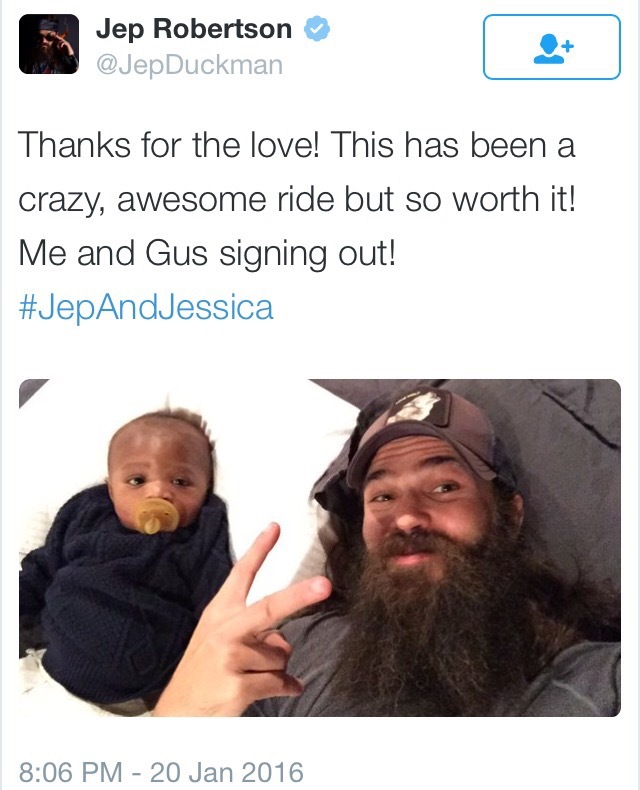 Baby Gus made his debut on Jep and Jessica: Growing the Dynasty on A&E this Wednesday. They also told the entertainment outlet that the adoption process has been an “emotional rollercoaster” lasting three or four years, and two adoptions fell through before they were able to take baby Gus home. All we can do is hope and pray the child is well taken care of and not abused in anyway. The biggest challenge with this type of upbringing is never truly having a full understanding of your background and roots. This helpless child has the odds stacked against him when it comes to ever really discovering his true identity, and having the right people around to help him out. Smh. Check out the racist and anti gay rant by a family member below. Posted in: NO JUSTICE!, T.V. SERIES, WTF!